Airbnb - as part of their vision to bring where travellers go, what they do and who they meet together into one people-powered platform - announced Trips a year ago. 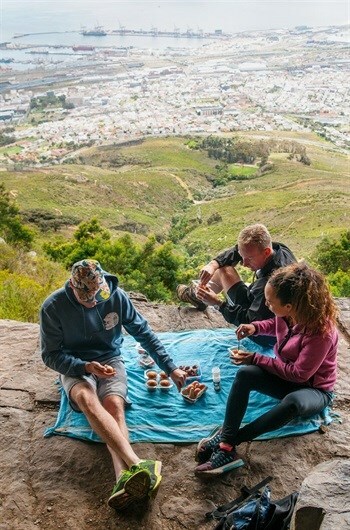 As part of that, Airbnb expanded Experiences - local activities crafted and led by local people - to more than 40 cities across 26 countries, and to every continent except Antarctica. Between January 2017 and today, total weekly Experience guests have increased 15x, and are continuing to grow steadily. October was our strongest month yet for Experiences bookings, and with many more destinations to come in 2018, this momentum is poised to grow even more. This while the company learns more about not only where people love to go, but what they love to do most while they travel. Barcelona is still the most popular market for Experiences, followed by Los Angeles, Paris, Tokyo and San Francisco. But newer Experiences markets like Lisbon, Seattle and Toronto are gaining quickly. New York City, having just launched in all five boroughs in September, is already the sixth most popular market overall. Newer and well-established markets alike are reflected in some of our most-booked Experiences in the last month, which includes everything from a gastronomic tour of Lisbon to a graffiti art workshop in Harlem. Research shows that younger people increasingly favour experiences over things – and that’s evident in the growth of social, people-driven travel. With two-thirds of Experiences guests aged 35 or younger, guests skew millennial and spend an average of $55 per Experience. Overall, guests are also overwhelmingly satisfied with their bookings: 90% of all Experiences earn a five-star review. What do guests love to do most? Eat, drink and be merry the local way. The most popular Experiences category is food and drink by a strong margin, with more guests booking intimate homestyle dinners, speciality cooking lessons and guided food and drink tours than any other Experiences category. While most Experiences bookings are made by groups, solo travellers don’t mind veering off the beaten path. Looking at bookings by solo travellers versus groups of two or more, we found that guests flying solo are more drawn to social, sporty activities like a pickup soccer game or a groovy yoga session, while groups of two or more prefer dining and cooking outings. For travellers, Experiences are a way to get to better know a place through the eyes of locals. But they’re also a way for locals to see their own cities from a fresh perspective, whether it’s by learning a new skill or discovering an under-the-radar music spot. Additionally, through social impact Experiences, where 100% of what you pay goes directly to a local non-profit organisation, locals and travellers alike can have fun while getting to know a community and making a meaningful impact.